… my first response to Paypal was: This guy’s trolling, right? First off, there’s the name–either a deep, post-ironic statement on capitalism’s embroilment with art, or pure stoner joke. The moniker started off as the latter, Paypal says, adding, “It’s funny to say it’s a metaphorical statement–it’s honestly more of a troll when we tell people to take it seriously.” He’s fond of glossy, hyper-commercial imagery jacked from mega-corporations like his namesake. “I think they’ll sponsor me,” he deadpans. The quote above is from Meaghan Garvey’s ‘Rising’ feature for Pitchfork on the Berlin-based footwork producer DJ Paypal, who’s affiliated with the late DJ Rashad’s Teklife crew and signed to Flying Lotus’ Brainfeeder label. As she points out, there’s a little humor and trolling to DJ Paypal, but while his image may scream “irony!” his music really is sincere — PC Music this is not. This album incorporates jazz, soul, funk, tribal polyrhythms and ethereal psychedelia, as well as the rhythms and sampling styles more typically associated with footwork. Somehow, the whole thing sounds cohesive. Listen below. He’s supporting the album on a tour this January, which hits Brooklyn on January 23 at Palisades. 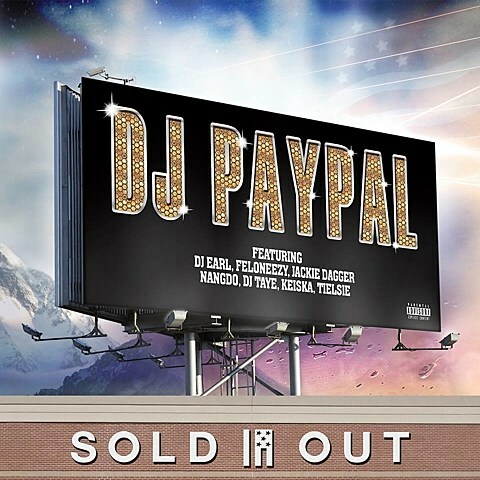 That show has an all-Teklife lineup with DJ Spinn, DJ Earl and DJ Taye (the latter two are featured on Sold Out). Tickets for that show are on sale now.